> should have experience in build tools like Maven, Ant etc. > Hands-on experience in build tools like Maven, Ant. > Experience in Test management tools, CI tools like TeamCity. > Create detailed, comprehensive and well-structured test plans and test cases on thorough understanding of requirements, specifications and technical design documents and execute the same. > Understanding of Load & Performance testing tools such as Neo Load, Load Runner, Silk, etc. 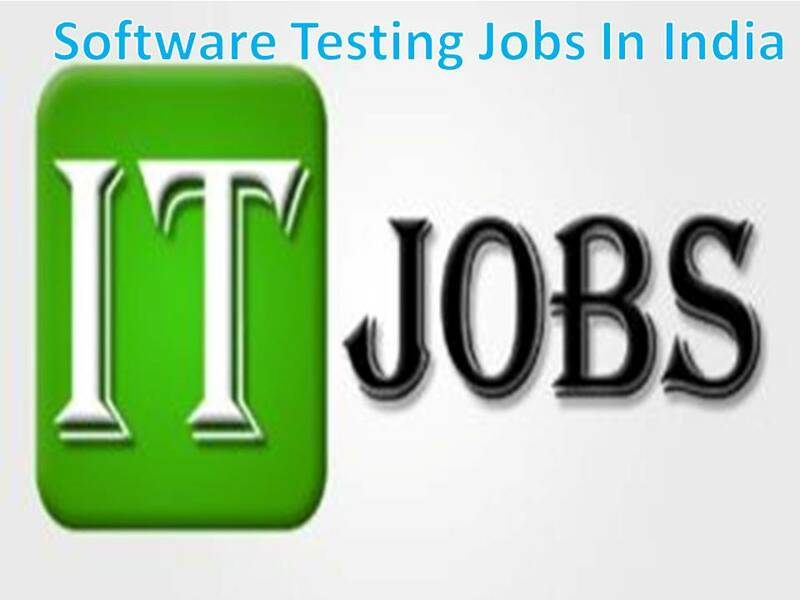 > Overall 8+yrs of experience for Testing experience ranging Manual, Automation, API, Database Testing. > Experience of 3+ years on Automation testing using Selenium with Java. > Experience in handling multiple projects at a time. > Edge in project estimations & planning techniques. > Experience in Testing Mobile apps on various operating systems e.g. IOS and Android. Experience in Mobile Application testing includes UI, Functional/Non-functional, Regression tests, Device compatibility tests, Security testing and Usability testing. > Hands-on experience of testing the app on Emulators is good to have. > Experience of functionality testing, usability testing, performance testing, compatibility testing, security testing, security testing, memory testing, and regression testing. > Bachelors Degree in Computer Science, IT, MIS, Engineering, or related fields. > Experience in .NET, C#, Visual Basic and macro development highly preferred. > Proficient in Microsoft Excel, Word, and PowerPoint. > General understanding of UML, BPMN, or technical design documents relevant to process modelling and design. > Past experience working as part of a collaborative team that practices Agile and/or DevOps throughout the SDLC. > Experience across the SDLC, including requirements, design, development, testing, documentation, training, deployment, operations, support and maintenance. > Must be an adaptable self-starter and work with minimal supervision. Must be able to juggle multiple projects and organize time effectively. > Should be able to mentor junior QA resources when need arises. > Create and maintain processes of the quality program and provide consulting for software development or operations processes, quality practices, quality audits and software measurements. > Minimum work experience of 5 years in the same domain. > Should be ready for both domestic and international travel for project execution. > to careers.india@mcssolutions.com. We look forward to hearing from you. > 2+ years proven JMeter experience, preferably in the web domain. > Solid Core Java development experience. > Strong understanding of testing and test automation concepts. > Strong written and verbal English language communication skills. > Team player that can also work as an individual contributor. > Eager to learn new tools, technologies and approaches. > Knowledge of the design and architecture of modern web applications. > Web / client analytics and reporting. > Experience in any other automation tools (especially Selenium). > Experience working in Agile / Scrum teams. > Ensures the quality and integrity of web applications. > Preparing test cases, perform comprehensive test execution and bug reporting. > Review and assist in the development of test plans being prepared by others. > Reporting defects and work with developers to resolve issues. > Design and Test case writing to create and deliver a quality-focused system testing. > 5+ years experience in Software Testing or Quality Assurance Role. > 3+ years experience developing automation or performance testing scripts. > Experience using Sahi Pro, Selenium, Automation Anywhere, Jmeter or LoadRunner. > Experience working on large, complex software projects. > Experience using JIRA a plus. > Preparation of test cases,Execution of tests..
> Prepare Test plan and conduct review of Test Scenarios and Test cases (by working with users, developers and project sponsors). > Requirements analysis and the creation of documentation / product backlog / use cases. Company Name : Webconnect Pvt Ltd.
> must have skills of bug reporting via project management tools. > May possess and demonstrate advanced knowledge in a specialized field and broad knowledge of several related disciplines within a function. > May provide day-to-day direction and oversight for other employees. > Has a solid knowledge of product category, understanding larger system aspects. > Masters defined and communicated engineering and cross functional processes, standards, methods, and procedures. > Effective written, verbal and presentations skills with the ability to clearly articulate ideas and concepts. > Demonstrated ability to collaborate, negotiate and work within a team environment. > Ability to relate to others, demonstrated resourcefulness and flexibility, active participation in decision making process, ability to assess risk and act with a sense of urgency. > Ability to think on your feet, assess problems, and lead others to find solutions. > Responsible for managing and completing significant projects involving multiple component and subsystems. > Provide technical leadership across cross-functional teams. > First point of contact within engineering with external customer. Resolves external customer issues at advanced engineering level. Lead customer presentations. > Works with general direction. Identifies & manages many of own assignments. > Skilled at customer presentations and communicating and influencing internal customers (across functions and upwards). Documentation is professional and frequent with virtually all technical work formally captured. > Able to apply several engineering concepts and develop/derive new solutions for a specific problem. Able to quickly generate numerous alternative solution paths, and objectively down-select to several technically promising alternatives based on sound reasoning. > 2/3 years as Developer role would be preferred. > Different kinds of databases: Relational, Flat etc.